In 1971 two people in North Hollywood started eating DDT pills every day. That’s right, they willingly swallowed 10mg of poison every single day for three months. In front of witnesses. 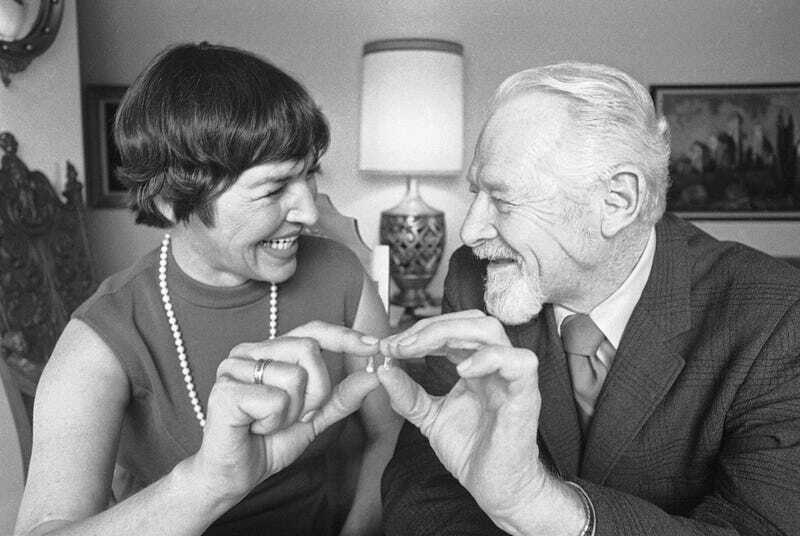 Robert Loibl and his wife, Louise, hold 10-milligram capsules of DDT which they took in front of witnesses for 93 days at lunch time, June 10, 1971. Loibl said their total dosage was more than the average person consumes in 83 years. He said his wife’s dandruff disappeared, their appetites perked up and they feel better. Loibl said they just wanted to call attention to the public that DDT was safe. The potential dangers of DDT first came to mainstream America’s attention in 1962 with the publication of Rachel Carson’s book Silent Spring. The book jumpstarted the modern environmental movement in the US and helped bring attention to the harmful effects that DDT was having on wildlife. Spraying DDT was not great for birds and marine life. But we now know that its danger to humans was overstated. DDT became controversial in mainstream American culture during the late 1960s and the EPA banned the use of DDT as a pesticide in 1972. But the stigma attached to the chemical has had negative consequences around the world, especially for the fight against malaria. In the first half of the 20th century, malaria was infecting millions of Americans a year and killing about 3,000 annually. Despite being synthesized in 1874, DDT wasn’t developed as an insecticide until 1939 by Swiss scientist Paul Muller. But DDT then quickly helped wipe out malaria in the Western world. By 1951 the United States was officially rid of the mosquito-transmitted disease. But other countries weren’t so lucky. In 2006 malaria was still infecting about 300 million people worldwide and killing about 1 million people a year. The World Health Organization took another look at DDT in the mid-2000s and controversially promoted it as a way to fight the malaria epidemic in Africa and Asia. Today, roughly a decade later, the number of malaria deaths worldwide have been almost cut in half. DDT typically doesn’t cause health problems in humans after limited exposure. It’s the prolonged exposure that scientists are most concerned about. The FDA has classified DDT as a B2 carcinogen, which is to say it’s a probable human carcinogen based on tests on animals. That’s below a B1 carcinogen, which is based on evidence found in humans, and an A carcinogen, which is a classification reserved for when something is definitively carcinogenic to humans. Whatever happened to Robert and Louise Loibl who swallowed DDT for three months straight? I haven’t been able to figure that one out. They don’t show up in any newspaper accounts of the mid-1970s and I can’t find death records for either of them. For all we know, they may have died of acute DDT poisoning the following year. But it’s a safe bet that however they eventually died, it wasn’t from malaria.